April 23rd in Wordpress Plugins by Wordpress Jedi . Have you ever signed a petition online? I am not too confident about how effective these can be. Nevertheless, I have signed a few for Google Reader and other more important causes. Adding email petitions to your website does not have to be challenging. If you know coding, you could easy come up with your own system for handling them. SpeakUp! Email Petitions happens to be an easy to use script that saves you time gathering signatures for your cause. 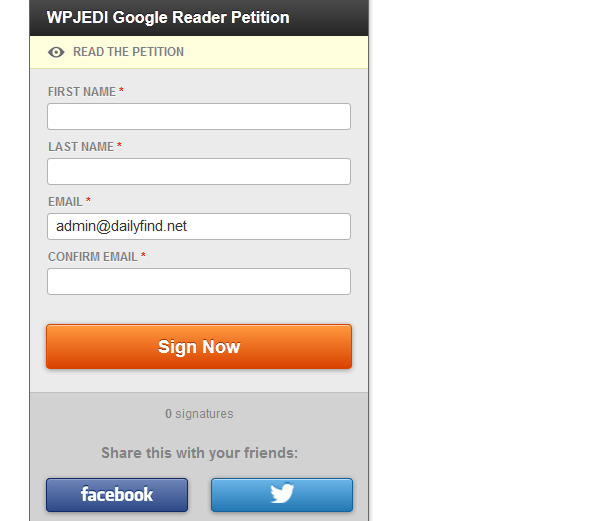 Creating new email petitions with this plugin can’t be any easier. Just make sure you fill your petition form properly on the Add New Email Petitions page. You should define a target e-mail, subject, greeting, and petition message to get started. Twitter message can be customized too. Want to reach a certain number of signatures or set an expiration date for your petitions? No problem. SpeakUp! Email Petitions stores the signatures you get in the database and lets you export them in CSV format. The script comes integrated with Facebook and Twitter, which is a plus. You can change petition theme, signature list options, and the confirmation e-mail template on the Email Petitions Settings page. 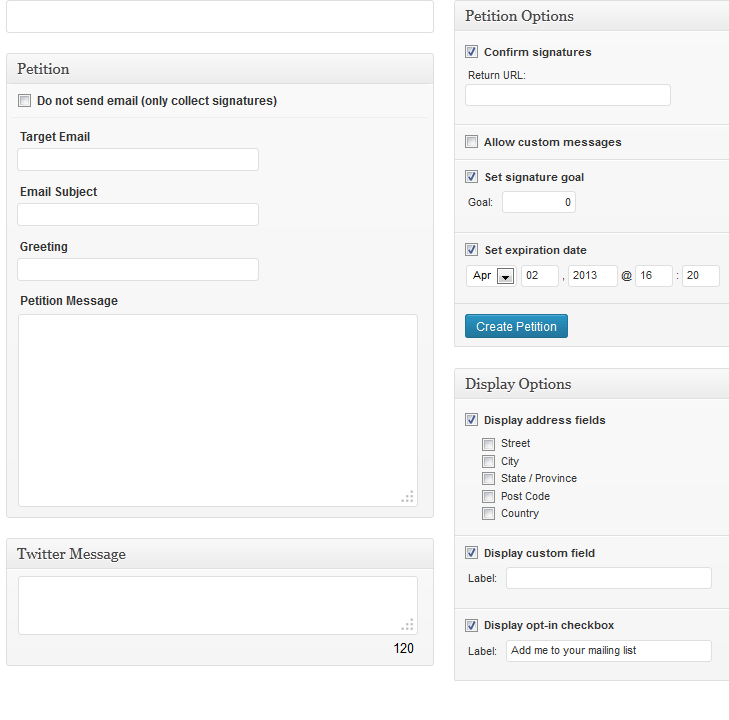 Overall, this is a quality plugin for gathering signatures online.